2. The power system uses high-performance lithium polymer battery and can realize fast charging, energy saving, and environmental protection. 4. GPS system, real-time image transmission, real-time monitoring. 6. Nozzle with high-speed centrifugal design can not only control the spraying speed but also control the size of the droplet within 2-5 microns. 7. 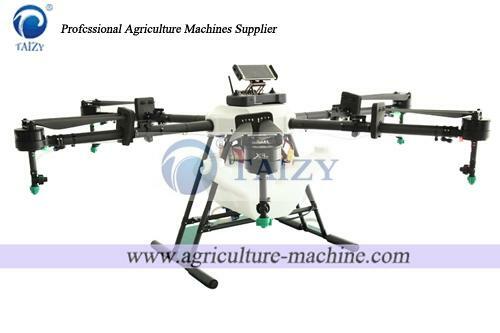 This drone sprayer can automatically change the line of farmland and realizes intelligent spraying. 3. 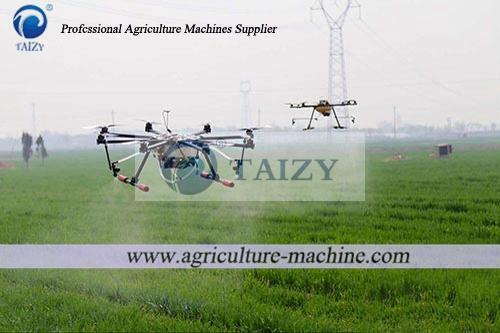 Compared with spraying by labor, this sprayer can save 50% pesticide and 90% water, which will greatly reduce cost. 5. Low cost and easy maintenance. 6. 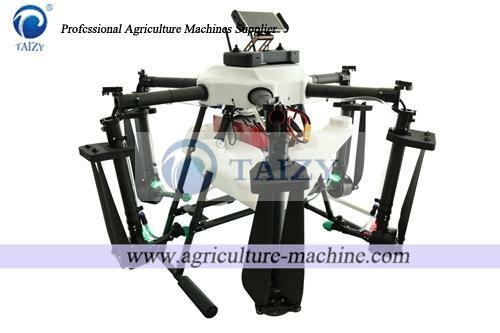 The unmanned sprayer can carry 10-30 kg pesticide, saving time and labor, 7. 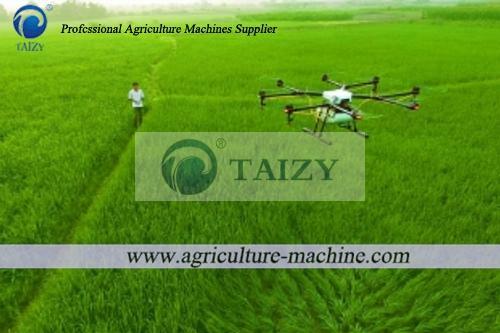 The drone spraying is fully atomized and uses high-concentration pesticides and atomization technology. 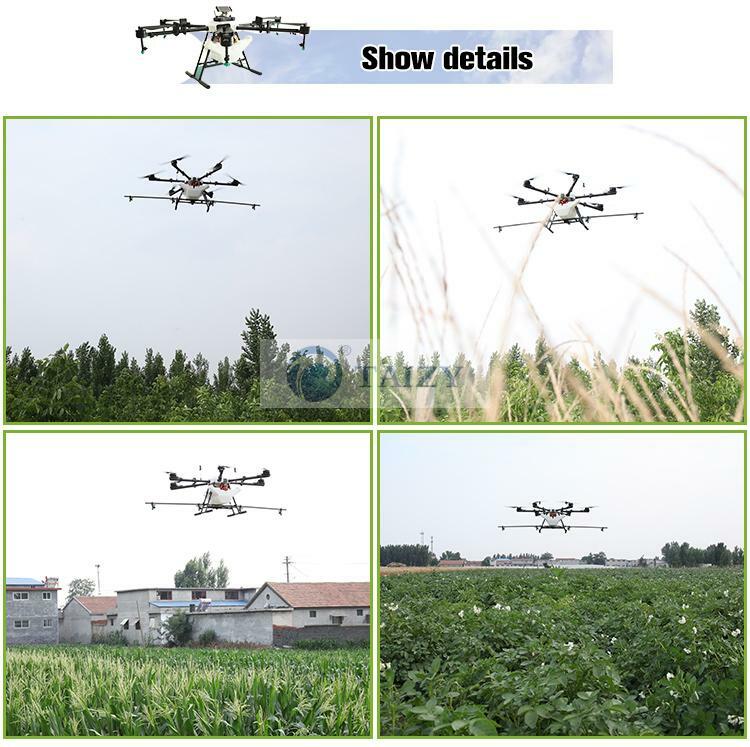 The powerful downstream airflow generated by the drone directly penetrates the liquid to the whole crop, which boosts the utilization rate of pesticide, and the insecticidal effect is very good.